Roger was born in Swansea, Wales, but moved to Yorkshire where he began his musical education in Huddersfield. After graduating from Cardiff University he engaged in further study in London and at King’s College, Cambridge. He spent eight years as a freelance musician in London, as organist, harpsichordist, conductor, singer and composer, during which time he performed at many of the major London venues. He was then appointed to the University of Aberdeen where he was Organist and Master of Chapel and Ceremonial music. For five years he was Chorus Master to the Scottish National Orchestra in which capacity he worked with most of the major international conductors. He is Organist and Musical Director for the Cathedral Church of St Machar, and is Music Advisor to the National Trust for Scotland. Roger runs a series of 30 Lunchbreak Concerts each year for the City of Aberdeen. He has an active recording career and is shortly to record some of the pieces commissioned over the last decade for the Aubertin Organ in the University Chapel under the auspices of the Aberdeen Sound Festival, for which he has given annual recitals. These have included many world premières and explored the interface between electronic music and pipe organ which has led to two residencies with young composers in London. Recent recitals have been in Yorkshire, Cambridge and Vienna and, later this year, Roger will play in Paisley. 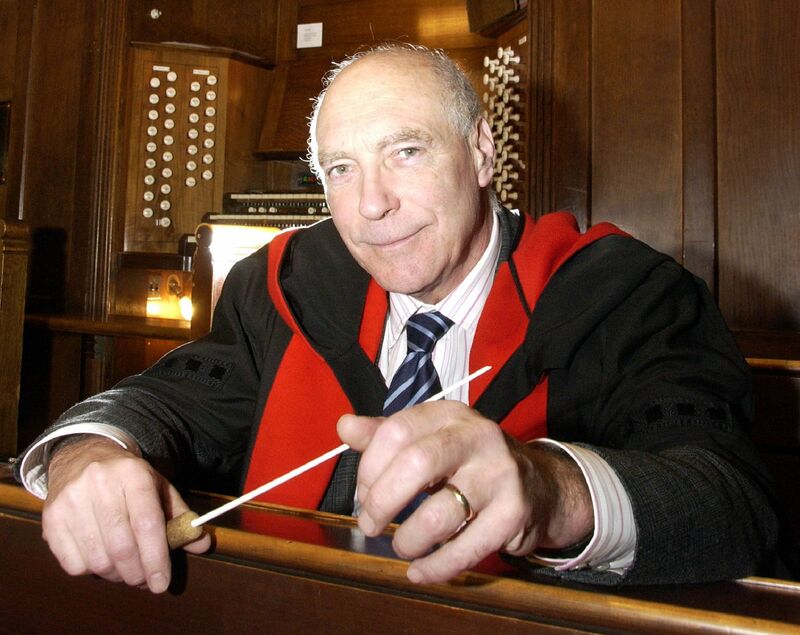 Roger was awarded the MBE by the Queen in 2008 for his Services to Music, and in 2011 was made an honorary DMus of the University of Aberdeen.